"Tempering: fry in a small amount of hot oil. Cumin seeds sizzle, mustard seeds turn grey and pop, fenugreek and urad dal brown, curry leaves and bay leaves darken. This is done to flavor the oil before cooking, or sometimes the flavored oil is used to dress the finished dish. The whole spices also add texture to the dish (especially the crunchy dal and mustard seeds). Flavouring: Dry, ground spices are added during the cooking process. Some are added early, so that their color or flavor permeates the dish. This includes turmeric, chilli, coriander and cumin powders. Some are added late, just before the finish, so that their aroma stays fresh. This includes garam masala which is a mixture of several warm ("garam") spices including clove, cinnamon and pepper corns. Toasting: dry roast on high heat, taking care not to burn spices. Whole red chillies and fenugreek seeds darken, grated coconut turns a bit golden, and whole spices like cumin and coriander lose their "raw" smell. 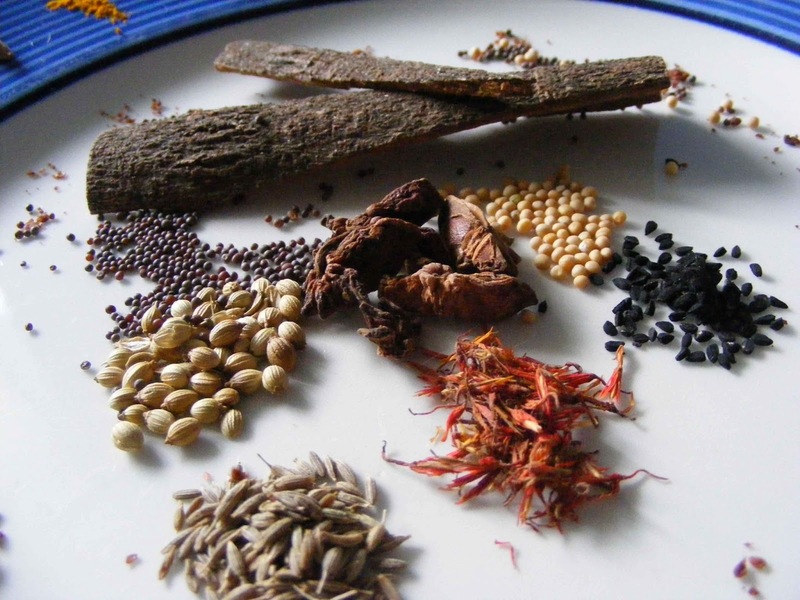 Typically, spices are toasted prior to grinding them into a dry or wet spice mix. It is not unusual to use all three forms of spice in one dish! The result is layers of delicious complexity and flavoring"